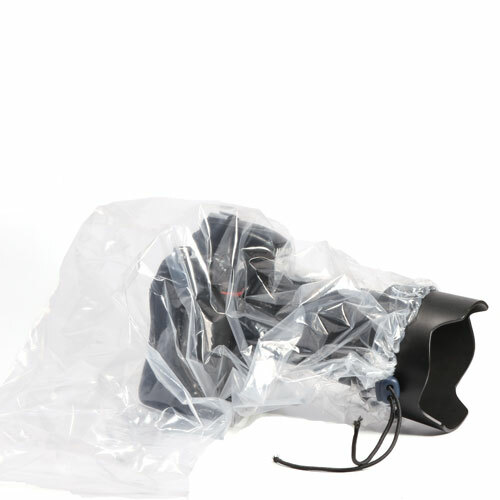 A clear, plastic sleeve that easily fits over a DSLR camera and lens. 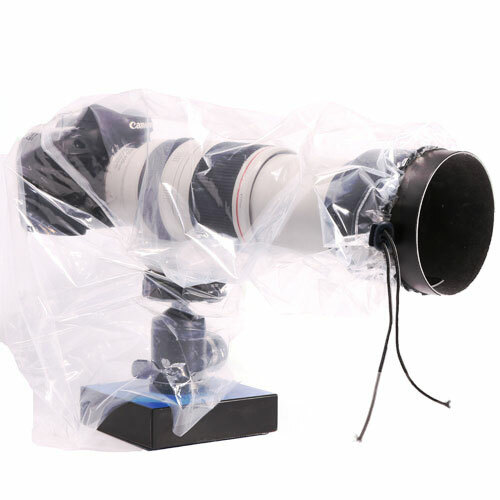 It protects your camera from sand, rain, mist and dust while you take photos. Make a small eyepiece opening in the plastic to allow the camera's viewfinder to fit through and compose shots through the camera's lens, not through the plastic. 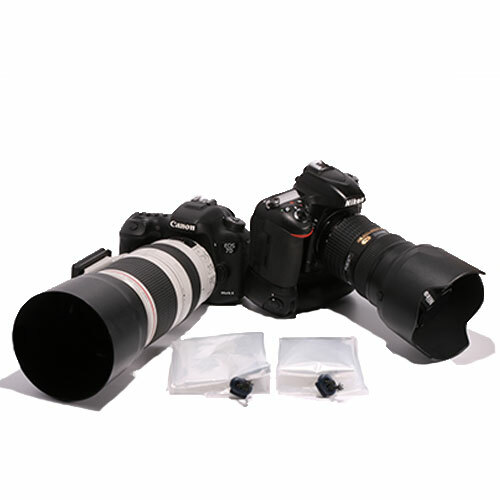 Fits any lenses in diameter & up to 45.7cm in length. Small & light so will easily fit in your camera bag. 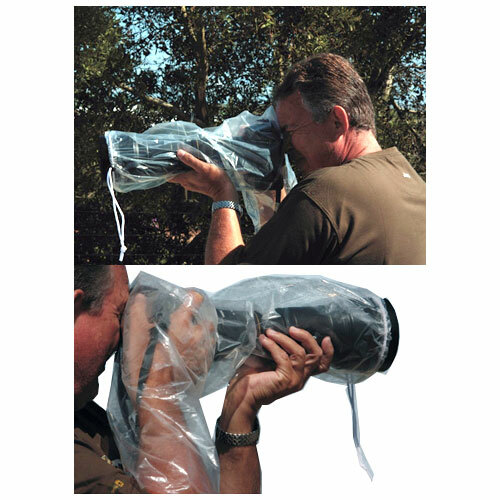 The Rain Jacket is a clear, plastic sleeve specially designed to fit easily over a camera and the lens. All camera and lens controls are easily seen and operated through the Weather Coat. A small eyepiece opening can be made in the plastic to allow the camera's viewfinder to fit through. This allows the composition of shots through the camera's lens, not through the plastic. It can be used either with handheld cameras or on a tripod. If shooting with a long lens, the tripod mount can be attached directly through the pliable plastic. A plastic sleeve that fits over your camera and lens. Camera & lens controls are easily visible and operable. Not meant to last for life and are more the disposable type so are more affordable.